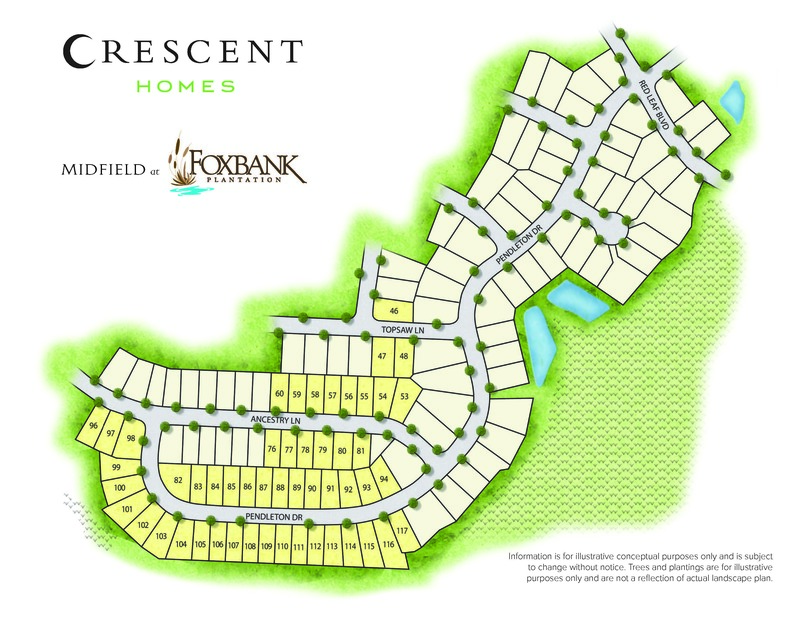 Foxbank Plantation is an 800-acre master planned community in Moncks Corner, conveniently located off Highway 52. This charming community includes three distinct neighborhoods: Lakeside, Alderly and Midfield. All neighborhoods have access to many outdoor amenities, including an inviting swimming pool, a 67-acre lake, 141 acres of preserved wetlands, walking trails, green spaces and a children’s park. Foxbank Plantation Elementary just opened for the 2018-2019 school year. Midfield Homes include 17 functional, open home plans up to 3,803 square feet, 3-6 bedrooms and up to 4.5 baths with a variety of styles to choose from, including ranch and 2-story homes and master down floor plans. Foxbank Plantation Elementary Now Open! Midfield - Westin / Palmetto Series / 1,933 Sq. Ft.
Midfield-Hadley / Heritage I Series / 1,906 Sq. Ft.
As the county seat of Berkeley County, SC, Moncks Corner is north of downtown Charleston. The natural surroundings make it an ideal place to call home in the Lowcountry if you enjoy the beauty of trees, lakes, and few commercial developments. The town began as a trading post and was given the name "Capital of Santee Cooper County in 2004." Being set in the trees and among wildlife, Moncks Corner offers homeowners the chance to own a pristine property with all the modern amenities found in more urban settings throughout the Lowcountry. Planning a Move to Moncks Corner? How to design the perfect media room? *Pricing, features and availability are subject to change without notice.